According to The Wall Street Journal, the European Court of Justice has ruled that Apple can now register the layouts of its Apple Retail Stores as trademarks in Europe’s member states. The news (via MacRumors) has surfaced following a similar move in the United States, which took place last year. Before the ruling in Europe, Germany had rejected Apple’s attempt to secure a trademark for one of its German-based retail stores. However, today’s decision means Cupertino will indeed be able to register for such trademarks in European countries. The EU’s top court said Thursday that Apple’s flagship stores fulfilled the three criteria for a trade mark: they constitute a sign; they can be represented in a graphic; and they can distinguish the goods or services sold by one company from those of another. 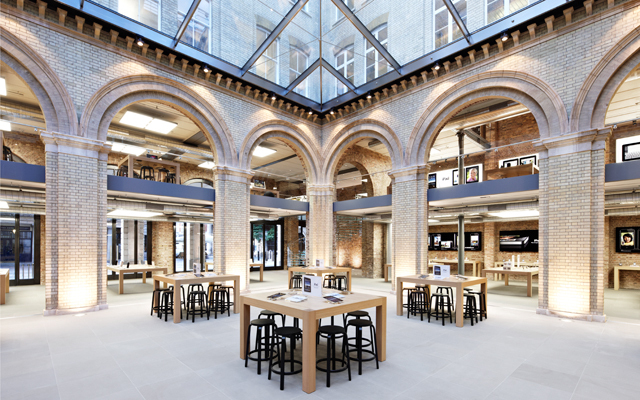 Apple recently opened its 101st retail store in Europe with a new venue in Madrid, Spain, and a further EU store in Basel, Switzerland is celebrating its Grand Opening on June 12. Students visiting the Apple Store for Education can presently take advantage of Cupertino’s “Back to School” promotion, which offers customers a $100 or $50 Apple Store Gift Card when a Mac, iPad, or iPhone is purchased during the summer months. Online shoppers can also score a discount on Apple products by visiting the company’s recently launched eBay outlet store. In the meantime, see: Cydia tweak: Fully Masked Passwords adds an extra layer of security to iOS, Rovio’s Angry Birds Star Wars II goes free as it gets updated with new levels, and The popular Bicolor gets updated to add more minimalistic levels.